Do Multivitamins Help You Lose Weight? Joseph Ng has a Bachelor of Science in Sport and Exercise Science and is an advanced level 3 accredited personal trainer. He also has a diploma in nutrition and health. Losing weight requires that you burn more calories than you consume. You can use a combination of physical activity and dieting to achieve this balance. Although no magic supplement exists for weight loss, some evidence suggests that taking a multivitamin may help you burn more calories. Getting adequate amounts of vitamins and minerals is vital for proper metabolism. Metabolism is the chemical reaction that your body uses to turn the food you eat into energy. Some vitamins, such as the B vitamins, play an important role in metabolizing dietary carbohydrates, fats and proteins. A study published in a 2010 issue of the "International Journal of Obesity" followed 96 obese female participants to determine the effect of multivitamins and minerals on calorie expenditure. 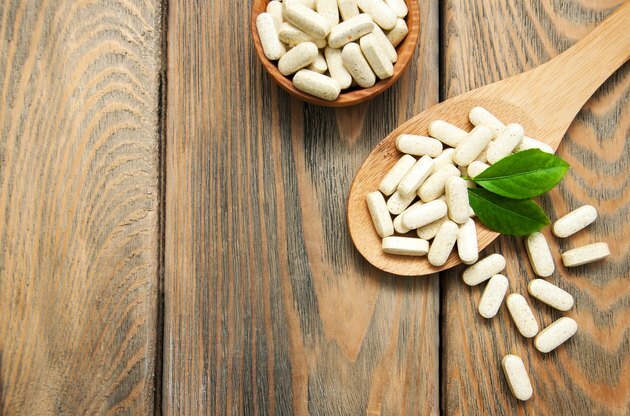 After six months, the participants who took a multivitamin supplement daily had significantly lower body weight and fat than those who took a placebo or calcium supplements. Taking a multivitamin supplement during a weight-loss program may help women control hunger and help men lose weight more efficiently than women do, according to research published in the "British Journal of Nutrition" in 2008. How Many Calories Do You Burn by Walking for 45 Minutes? How Do You Lose Weight While Taking Prometrium? How Many Calories Do You Burn Using an Elliptical Machine? How Many Calories Does a Sedentary Person Burn Each Day?